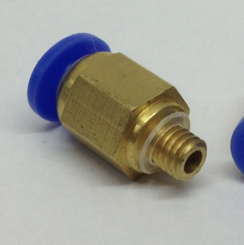 This push fit connector is great for guiding filament straight into the hotend. Used in various Bowden extruders, Delta printers and many other 3d printers. It has M5 threading and will fit in any standard M5 tapped hole.